Goosebumps is a movie based on the famous books by R.L. Stine. Jack Black plays R.L. Stine in the film that imagines his creatures coming to life. The monsters of Goosebumps are coming to life in the first photos from the upcoming film. 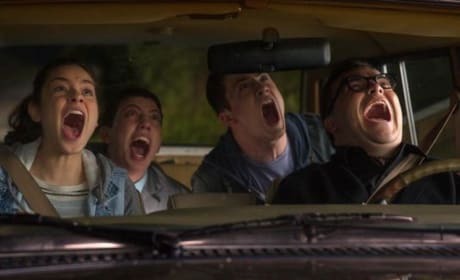 Jack Black stars as RL Stine and his creatures are coming to life. Three new photos from Goosebumps have arrived. Jack Black is author R.L. Stine. The first photos of Jack Black as R.L. Stine have landed for Goosebumps. 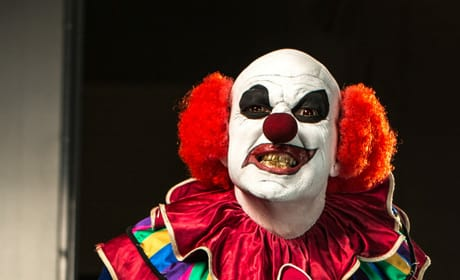 The author is a character in the movie based on his Goosebumps books. 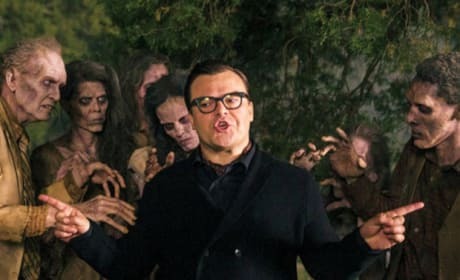 Goosebumps stars Jack Black as author R.L. Stine and imagines a world where the famous author's creators come to life from his books.